Aravindan provides management and capacity building support to strengthen the institutional platform of Dasra's portfolio organizations. He is passionate about causes relating to children and moonlights in his individual capacity for an initiative that provides scholarships to disadvantaged children. Before Dasra, he worked in banking and real estate and brings over eleven years of experience in business planning and strategy, financial analysis, technology integration, organizational development, sales operations and program management. 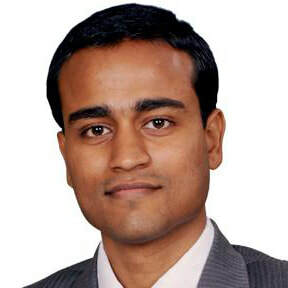 He graduated from National Institute of Technology, Trichy with a undergraduate degree in Civil Engineering and is a post graduate in Management from Indian School of Business, Hyderabad.